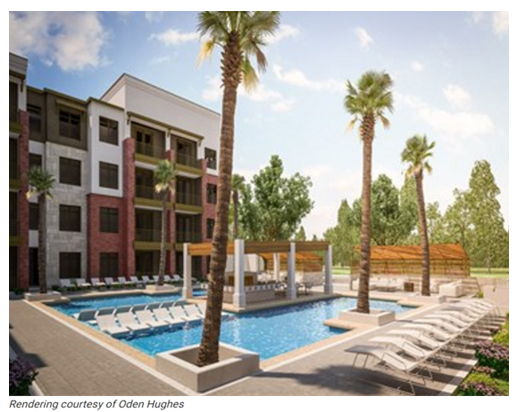 ​​​SAN ANTONIO – Oden Hughes and its development partner Desarrollos Delta broke ground on the Amara Apartments located at 19327 Talavera Ridge. Residences are scheduled to open in mid-2018. The project, adjacent to the NuStar corporate campus, is within a short distance to USAA, Valero, Security Service Federal Credit Union, University of Texas at San Antonio, The Shops at La Cantera, Top Golf and Six Flags Fiesta Texas. Residents will have access to amenities such as a sky lounge with Hill Country views.